Need North Texas Foundation Repair? Contractors End Slab, Pier And Beams Foundation Problems. If you require foundation repair in North Texas, contractors can solve foundation issues. So contact HD Foundations. Our company services Tarrant County, Dallas County, Johnson, Denton, Collin and Ellis County. We service concrete slabs foundations as well as pier and beam houses. 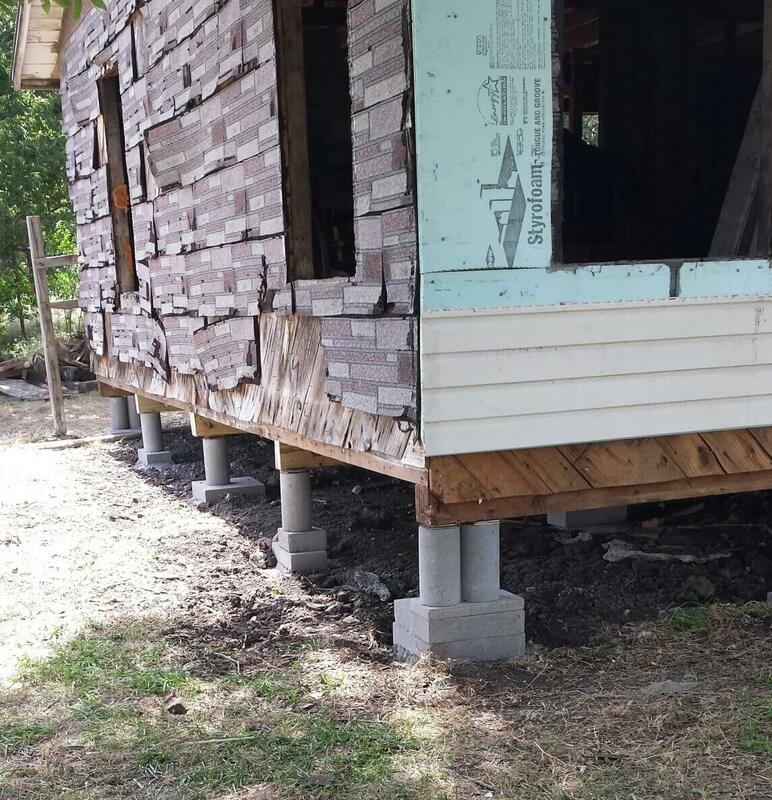 Learn about foundation repair in Texas, particularly the North part of the state. Expansive clay soils and hot weather are major sources of deterioration in house foundations as well as commercial structures. If you see cracking or your foundation isn’t level, read about a variety of foundation repair problems in Texas and how they affect property owners. When a foundation has cracked, that’s a complication that must be fixed. If you see signs of foundation trouble, you should have your property serviced now. 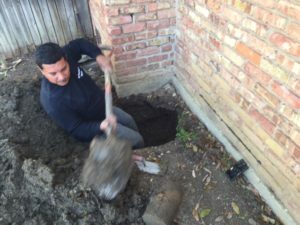 Because foundation trouble becomes so much more apparent in North Texas in the summer, it’s common for foundation repair contractors in Texas to be extremely busy during that time of the year. As of 2016 there were over 650,000 households in Tarrant County, more than 860,000 in Dallas County, and almost 293,000 in Collin County. Due to the large number of houses, commercial buildings and apartments in the area, a lot of property owners need help. That’s when they hire the best contractors in North Texas repair their foundations. We’re established contractors with a Better Business Bureau (BBB) rating that’s excellent. With almost 6.6 million people in the metroplex alone, repair service is often needed right away. Soil and weather varies from one region of the state to the other. Some areas have more foundation issues than others. Homeowners often need foundation repair in North Texas because they’re susceptible to the affects of shifting clay soil and droughts. Additional dilemmas that commonly affect foundations are under-slab plumbing leaks. Major trouble can arise as a result of poor soil compaction, too. It’s imperative to find local contractors that resolve these many problems and perform commercial as well as residential service in this area. Why Enlist North Texas Foundation Repair Contractors Like HD Foundations? One reason is because concrete slab foundations and pier and beam structures in North Texas need foundation repair service a lot. The earth in this part of the state expands and contracts as the weather changes. Find out about foundation issues in North Texas. You’ll discover that when it’s hot, the soil around foundations contracts. Then, when it rains or becomes cold, the ground around a foundation expands. This motion negatively affects foundations and necessitates that they be fixed. To get a free estimate on foundation damage, contact HD Foundations online today. If you’re a homeowner in Tarrant County, Dallas County, Ellis, Collin or Johnson county in North Texas, having foundation repair evaluations done on slab and pier and beam foundations is important. An an experienced contractor, we can check out your foundation and let you know if you need service. It’s a good idea to review why contractors use specific methods to fix foundations. 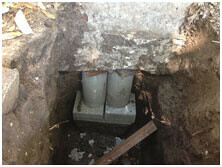 At HD, we commonly restore foundations using pressed concrete foundation piers or pressed steel pilings. They’re specifically designed to solve issues like foundation damage in Texas. Most contractors who are enlisted to repair house foundations in the northern part of the state deal with all forms of deterioration. By fixing slabs as well and pier and beam structures, they ensure that your house will no longer slope one direction or the other. You’ll want to make sure you hire a contractor that is highly reputable and knows how to prevent further destruction. Obtain Free Foundation Repair Estimates. As many property owners know, having a foundation restored can be somewhat expensive. In fact, the cost for North Texas foundation repair is usually around $3,500-6,000. Pier and beam foundations often cost less because they often only require a re-shim. Apartment complexes, commercial buildings and houses constructed with slab foundations generally cost more. When you require assistance, call the professionals at HD Foundations. By hiring an excellent contractor now, your foundation will be protected and you’ll be able to minimize expenses in the future. Remember: Fixing your structure will solve a variety of foundation problems. This will save you considerable dollars and aggravation down the line. If you require foundation repair in areas of North Texas such as Tarrant County, Dallas County, Collin, Ellis or Johnson county, contact us.